In 1975 while in grad school studying psychology, I noticed I had some issues I needed to address with my mother. She was a good mother, and I loved her, but there were instances that caused me to hold on to resentment. I cannot even tell you what they were, but I knew it was causing me to still feel powerless, even though I was almost 30. So I created some guided meditations for myself addressing my feelings and attitudes. I worked with them every day for about 3 months. It seemed like a long time and I wondered if I could ever let go. In the last 40 years I’ve figured out a lot about how we create and hold onto issues. And more important, how to let them go. Most of what you are struggling with is determined by one of your chakras. Your chakras store the energy that affects your mental, emotional, and spiritual development. The speed you move through each chakra’s lessons, depends how much you apply yourself. You can be dealing with issues related to any energy center at any time. But the most troublesome ones are in the 2nd and 3rd chakras. Your 2nd chakra, just below your naval, is a center of challenges for two reasons. 1. It’s the home of your “inner child“. The 2nd chakra stores your painful childhood memories. It does this even if you don’t have a clear memory of what you experienced. 2. Your 2nd chakra projects your emotional body. It stores the emotions you felt when you were a child. And unless you’ve done the work, it’s still affecting your life. This unresolved energy is affecting your romantic relationships, business and work relationships, and friendships. You cannot integrate higher realizations until you’ve cleared your 2nd chakra childhood issues. I know. I help people with this every day. This is my life’s work. And after 40,000 sessions, it’s safe to call myself an ‘expert’. The fee for an hour with me is $300. I’ve recorded a process for you that is about 1/10th of the price of a 50-minute private session with me. Of course, I’m happy to work with you privately if you want. But you’ll actually get a lot from this program…and you’ll have access to it for as long as you need. Even if you had a good childhood like I did, this is important for you. What happened when you were a child created a subconscious program that keeps you stuck. You can only go so far until it’s cleared. Heal Your Childhood Wounds will free you from that leash. I have supported people in over 40,000 sessions… I can assure you clearing issues from your childhood is not minor. 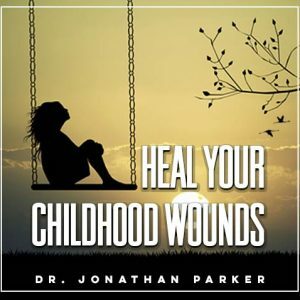 Don’t think you can move forward until you Heal Your Childhood Wounds.